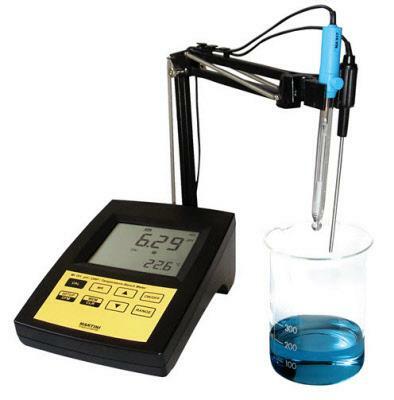 The Mi151-US made by Milwaukee Instruments is a great Combo meter ideal for testing pH, ORP and Temp measurements. User-selectable "calibration time out" to remind when a new calibration is necessary. User-selectable “calibration time out” to remind when a new calibration is necessary. Mi151 can also measure with ORP electrodes, thanks to its capability to measure mV with a resolution up to 0.1 mV. For accurate measurements, use the electrode holder sup-plied with the meter.